We absolutely adore wooden toys in our house, they stand the test of time and still look fabulous. Last year I told you all about our experience with the Jakayaan Balance Bike, a year later and it is still getting just as much use as it first did, and Leo is getting faster by the day. In the year since the Jakayaan Balance Bike, Max who own’s Lloyds Worcester has dreamt up a new creation that means even younger children can enjoy the range. The latest product addition is the 3SIXTY, a toddler ride on for the ages of 12 months right up to 3 years. 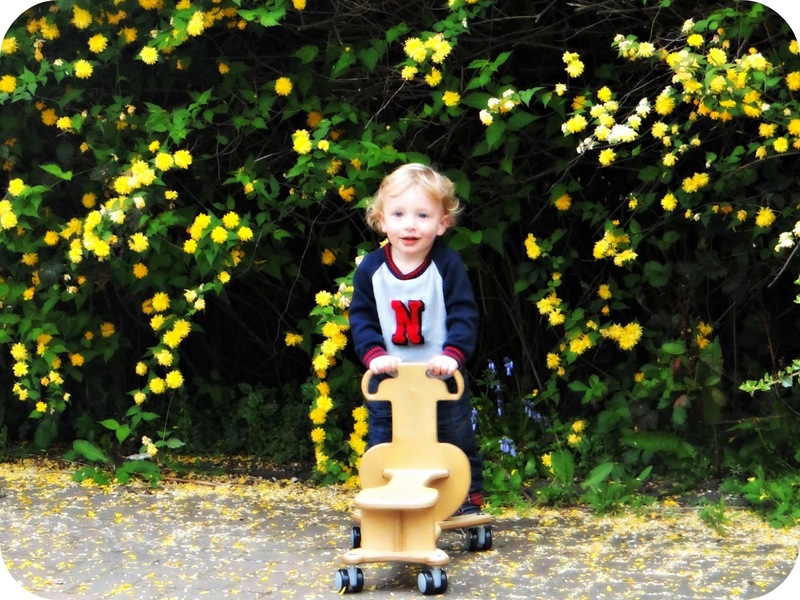 It is a product that enables younger children to take part with their older siblings before they are old enough to use a balance bike, and has a number of different uses. I first saw the 3SIXTY quite early on in its development process, before it had been through testing and I absolutely loved the concept. Max wanted to see how an older toddler got on with it, and Leo at the time was around 2 and a half, all be it a very tall 2 and a half year old. Leo demonstrated exactly what to do with it and had a great time taking it up and down the drive at home. We decided that Leo was getting a little bit too big for it due to his rather long legs, but for the average 2 and a half year old this would not be an issue. 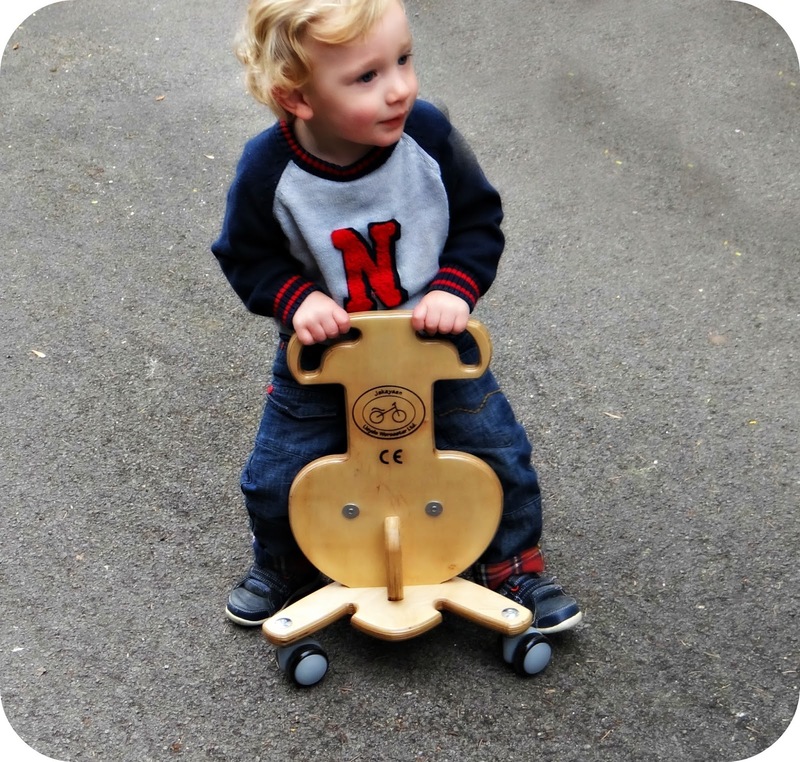 The 3SIXTY has 2 main features, it’s a multi-directional ride on and a walker for the younger. On the front of the ride on is a handle that little one’s can pull themselves up against to aid walking. 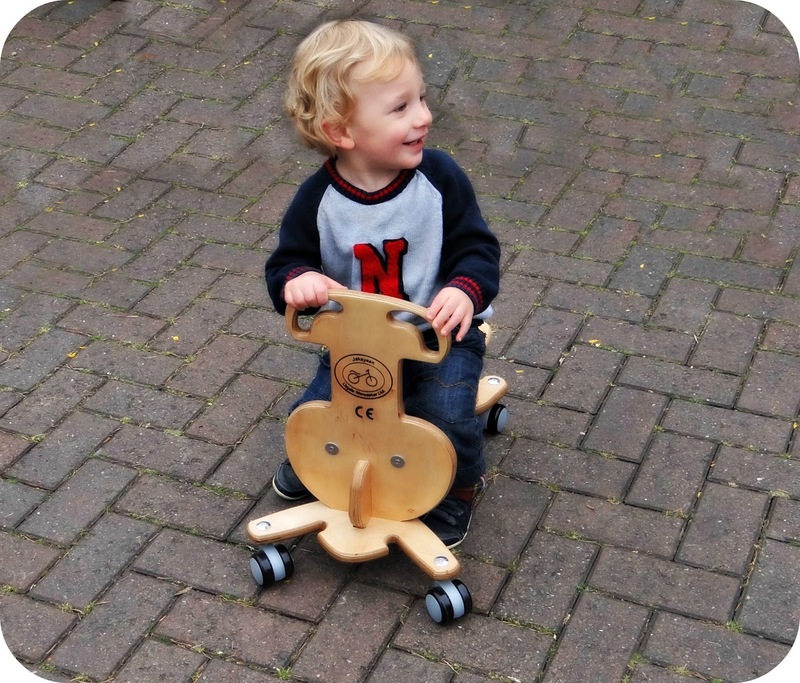 What I really love about this is that the whole ride on is so solid, you can rest assured that if your little one does decide to use it as a walking aid, it won’t topple or buckle. 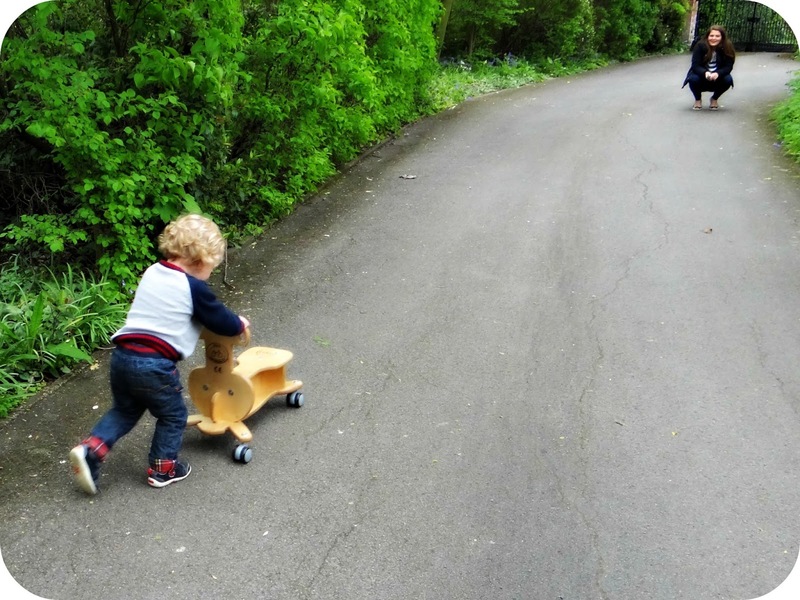 As it moves so freely on castor wheels toddlers can direct it wherever they wish to go, so if you have something you are trying to keep out of your little one’s way… You may want to rethink where you store it! The 3SIXTY is set on top of castor wheels which gives toddlers the ability to scuttle round in any direction that they please. It means they don’t have to worry about steering, they really can just use their balance to push them any which way they like. My nephew Josh has been enjoying the 3SIXTY over the last couple of months now, and he has been thoroughly enjoying his new set of wheels. At 1 years old he has been able to make the most out of the different features, and although he already walked prior to receiving the 3SIXTY the first thing he wanted to do with it is push it around. Of course Leo soon showed him how to ride it, and since then there has been no stopping him. Josh can make the 3SIXTY go in any direction he pleases and has absolutely no problem getting where he wants to be. He uses his feet to propel him along and is getting faster all the time. 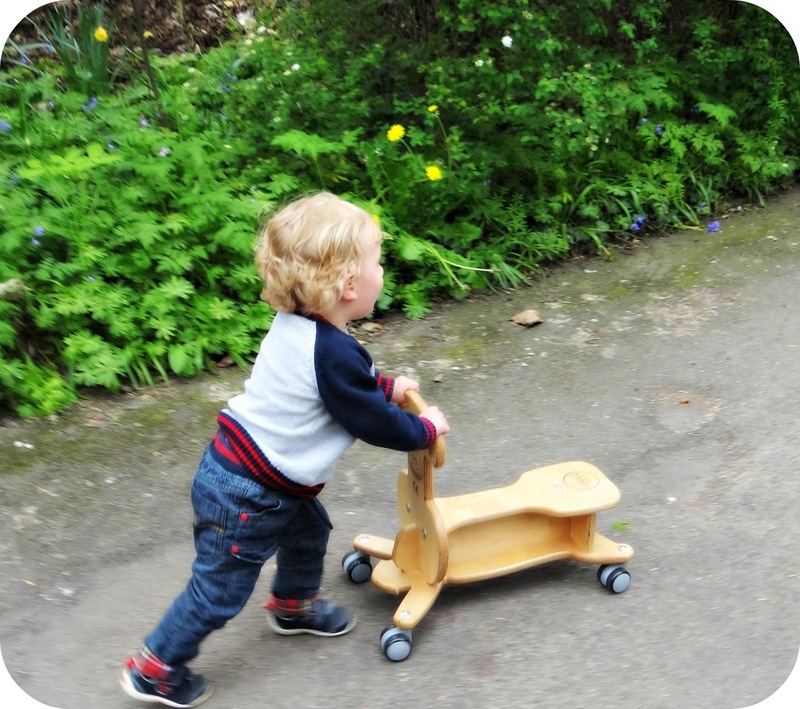 I love that the 3SIXTY is set on castor wheels as I think it is a great way for little ones to learn to navigate around, they have to use their balance and weight to get where they want to go which of course encourages them to use their motor skills. In terms of the 3SIXTY itself I really cannot fault it, it’s well made and provides a solid base for little ones to learn to walk and ride around on. It is made in the UK (about 20 minutes from where I live) and is constructed out of European Birch Ply, complete with a smooth finish. The 3SIXTY can be purchased directly from Lloyds Worcester,and at £68.99 it doesn’t break the bank. This would be an ideal first birthday present that really does have the promise of growing with your child. We are all big fans of Lloyd’s Worcester and love being able to support a local business that we are incredibly passionate about. The 3SIXTY is the perfect first step before moving onto a balance bike, and the idea is that when your little one outgrows the 3SIXTY… They will be ready for the Jakayaan Balance Bike! Disclaimer: We were sent the Lloyd’s Worcester 3SIXTY for the purpose of this review. All views and opinions expressed are completely honest and my own. What a fun little riding toy! 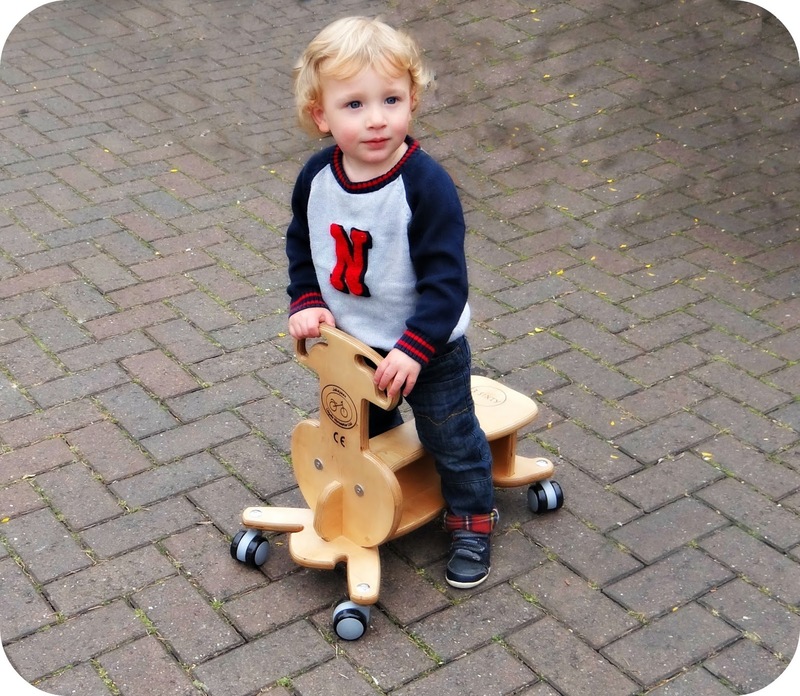 We love wooden toys too, they are such classics!